Dirt Digits M10 backgrounds were designed to give customers a more style and options and match perfect with our M10 Graphic Kits. 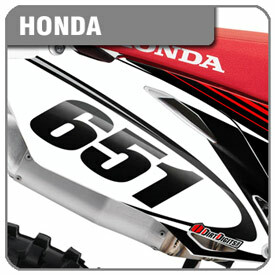 This kit includes an air box decal when applicable and may be further customized with logos/brands within the action sports industry at no additional charge.This kit includes an air box decal when applicable and may be further customized with logos/brands within the action sports industry for a nominal fee. To add custom logos to the air box simply select the check box for customization and then type in the logo/brand name in the air box text field below. You must select the option for adding logos to the air box as logos listed without this selection will be ignored. 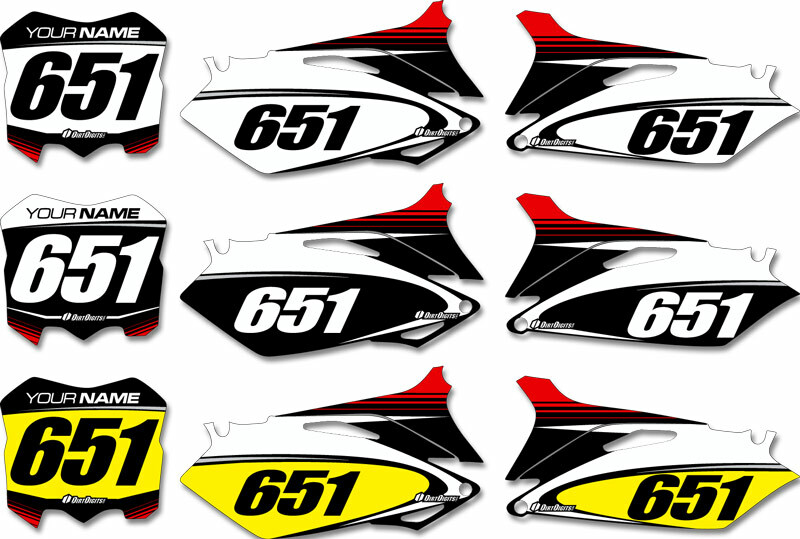 Available in the more refined striped version (Default product option) or the MotorcycleUSA.com version. If adding number borders the color will be the brightest color used within the kit. When adding plastic please note this will increase your lead time for delivery. Often times we will need to order components not in stock which may take up to five days to receive. We will notify you via phone or e-mail if there is an issue with availability. We may use any combination of Polisport, Acerbis, or UFO plastic to fill your order depending on availability. We attempt to use "OEM" colors for each plastic order however colors may vary. The product image is reference to how the design theme plays out for this make. 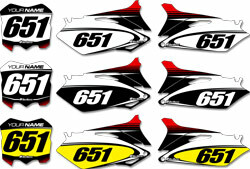 Each make and model has a unique template shape and not all of the details shown in the product image may exist. We do our best to uphold the theme throughout all of the template shapes however we do not guarantee exact representations and design translations between models as we must work within the confinements of shapes and design. You can earn 65 Rewards Points on this product!